But we’re complex people. What we want from a career is more than what can be run through a Scantron. Our unique combination of experiences, interests, and tastes deserves better. 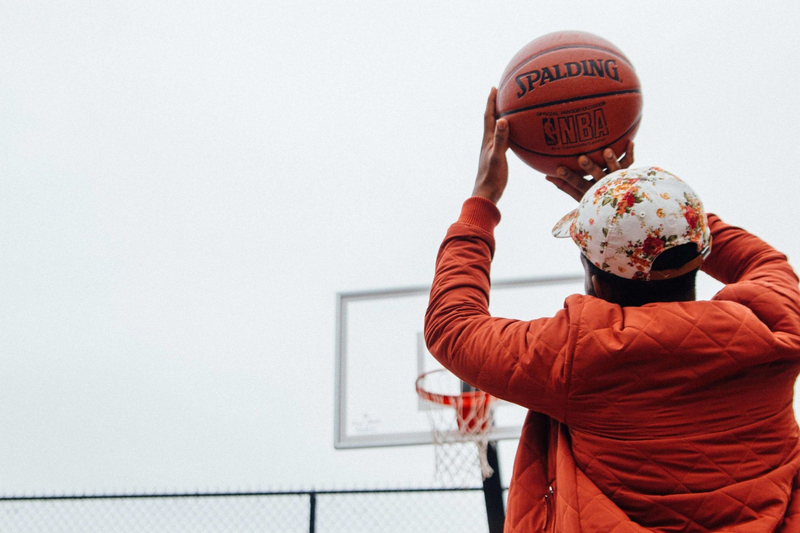 So, we’ve created a career aptitude test that you might actually want to fill out: your ideal career, based on your favorite team sport. You definitely possess an attention to detail and recall that dates back to your trading card collecting days. Spreadsheets and box scores are your best friends—places where your meticulous notes are very welcome. You can break down situations with ease, confidently backed by the numbers. These qualities make you a supremely well-informed decision maker, with the ability to assess the data in front of you and set yourself up for success. Your preparedness and methodical approach is invaluable, and you thrive on the daily grind instead of shying away from it. I mean, you know an MLB season is 162 games, right? Silly question, of course you do. Whether it’s driving into the lane yourself to finish the play or making a nifty pass to free up a teammate for a score, you’re always exploring a multitude of tactics on the basketball court to get the job done. Similarly, marketing, advertising, and public relations channel your creativity with a purpose. You’re required to invent new ways to solve unique, everchanging problems. Or, conversely, you’re repeatedly executing a gameplan your team devised to get the desired results. It can be a deep three-pointer in the form of an ambitious campaign or regularly feeding the post by way of scheduled press releases and ads. Whatever tactic it may be, you know how to operate both within the system in place and improvise outside when needed. Closing a long-awaited sale delivers that same, sweet feeling of a long drive to the endzone. To get there, though, requires a considerable amount of skill and strategy, with the patience and game plan to achieve some first downs along the way. You need a solid ground game—maintaining contact and rapport with your customers and prospects —to edge you closer and closer to your goal. But with enough fortitude, you know you’ll break the plane when the client’s ink dries on the contract. Now go celebrate with your team and do it all over again. You possess a unique blend of toughness and finesse, which is exactly what you need to navigate a complicated legal case or chasing after a puck on hard, cold ice. It takes both patience and an eye for details to build a defense, or when circulating the puck to find the right opening to shoot. Litigation can come at you like a cross-check to the boards, so it’s crucial to have an enforcer on your squad who can keep your business clean. You’re all about the team. While the outcome is certainly important to you, what matters more is the camaraderie, high-fives, and celebrations that come with every win. You probably even put the team together yourself, taking care to mix the right people to form a cohesive unit. That extends off the field when those skills are applied toward building a successful, diverse team that can tackle challenges together. Your friendliness and positive can-do attitude put the people around you at ease and serves as the glue that keeps the squad in good spirits in the office and on the diamond. You’ve got great communication skills, the selfless ability to play multiple positions, and conscientious decision making. It’s safe to say you know how to get a project done no matter how long or short-term it may be. Coordinating day-to-day activities might seem easy from the outside looking in, much like a square pass delivered perfectly to a teammate’s foot may seem rote to most. But maintaining those duties while keeping an eye on long-term objectives is a juggling act reserved only for the most organized, diligent person. Every pass and every action has a purpose. The goal is at the end of an efficiently managed business process or project approach with several moving pieces. You can only score by ensuring your team has all the tools it needs to march toward the target while being efficient in keeping the whole machine running. What sport and career did you pick? Does it fit the bill? Comment below and let us know!